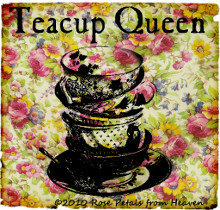 Hello and welcome to Tuesday Cuppa Tea on the cusp of August into September, so can fall be far behind? We just had our first major storm here which was desperately needed...hopefully putting out some of the wildfires here in Washington. 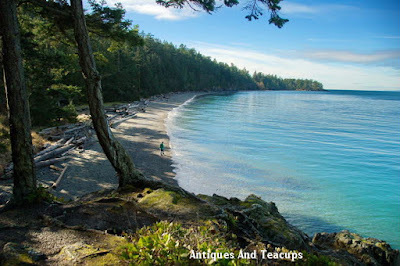 Our local Olympic National Park was closed and the campgrounds evacuated because of high winds, heavy rain and downed trees yesterday....Hope it is calmer where you are! At least the rain cleared the air of smoke! 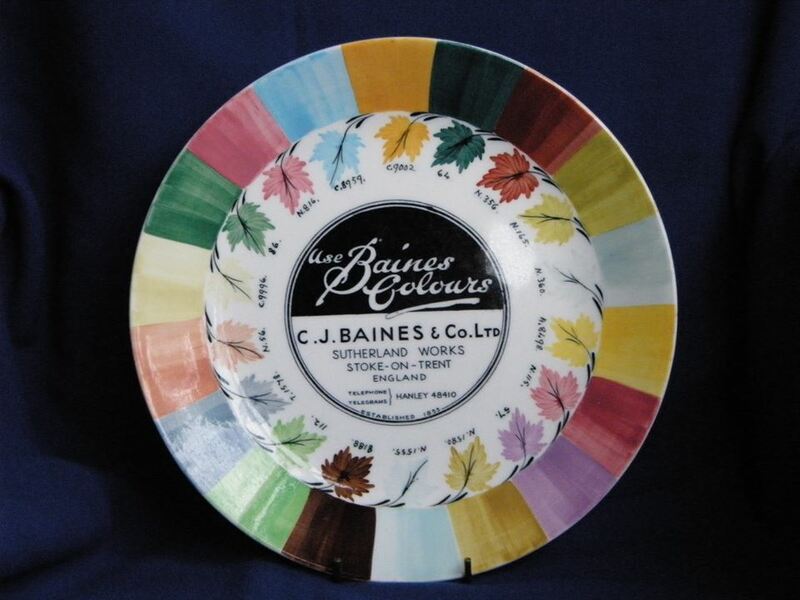 I know that a lot of folks feel like I do, fall is perfect for brown transferware, at least the magazines and the sales in my shops indicate that. 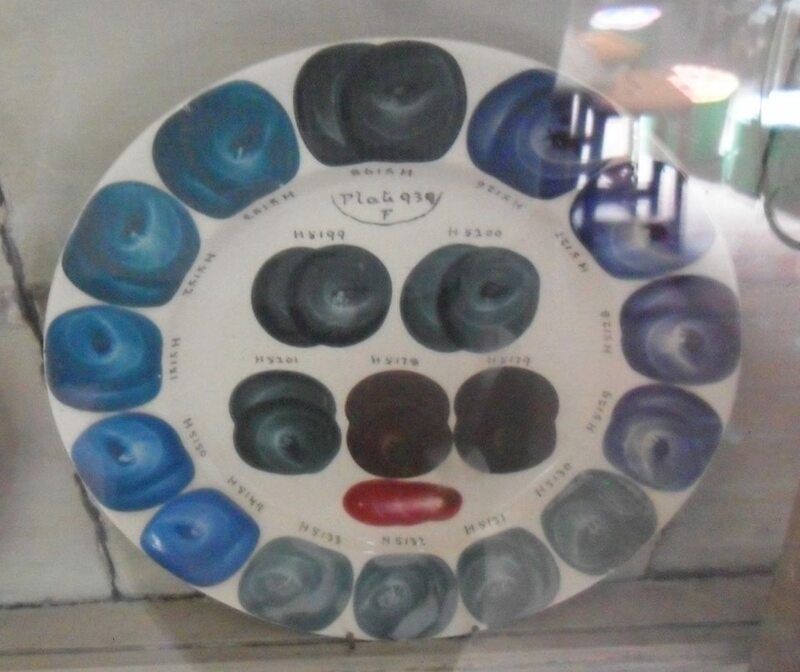 I love this version made by Alfred Meakin, England in the 1940s. 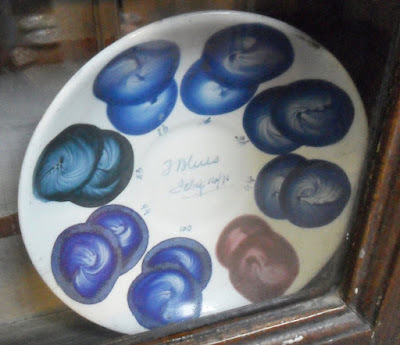 The pattern is Coaching Days and is hand colored on transferware. This version of Coaching Days is from the 1940s...easy to tell, because although the main mark didn't change for a few decades, the wording at the bottom did, as new info was added...note that this one says Detergent And Acid Resisting Colors...which phrase was added in the 1940s after the glaze formula was slightly changed to stop acid foods discoloring the ironstone. Alfred Meakin began in Tunstall, by Stoke-on-Trent in 1875, from the Meakin family of potters. 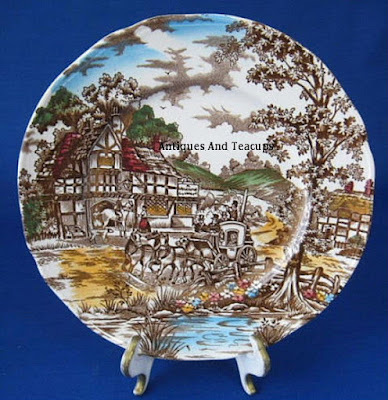 The family busness went through several modifications until 1958 when they taken over by Midwiner, which was then bought by Wedgwood in 1970 when the patterns were reissued by Johnson Brothers, then also a part of the Wedgwood conglomerate. 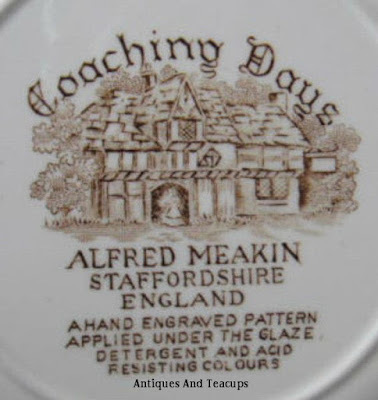 The Meakin brand name was totally abandoned in 2000. 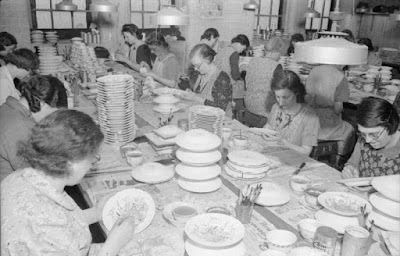 Sigh...and as reported by me a blog or so ago, Wedgwood became Wedgwood Waterford Royal Doulton or WWRD who was just bought by the Fiskars Company of Denmark on July 15, 2015. 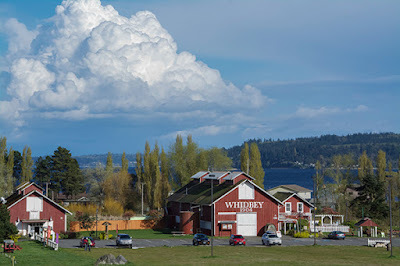 A few weeks ago we had a day out to Whidbey Island, via a 45 minute drive to Port Townsend, and then a ferry crossing to Whidbey Island as we hadn't been there for an age. There are various shops and artisans including a winery, local farm product, a potter, and art gallery and an island themed gift shop. 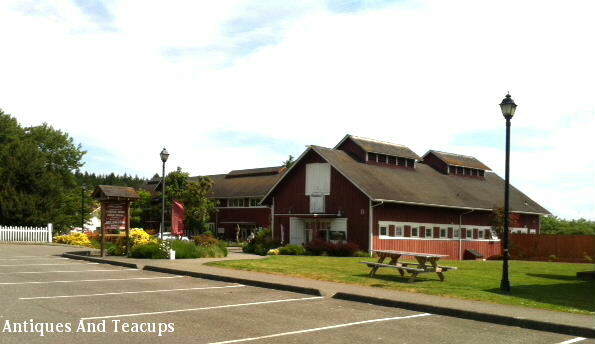 The farm is used as a venue for all sorts of festivals during the year as well as weddings in their big barn. There are a lot of antique farm equipment scattered about, and a great pond by an herb garden that was occupied with lots of Canada Geese. The weather was pretty good, but with a cool wind a threat of thunder storms. 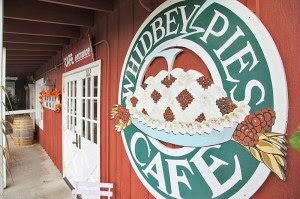 But we had planned our visit to the island to be at Whidbey Pies for lunch. 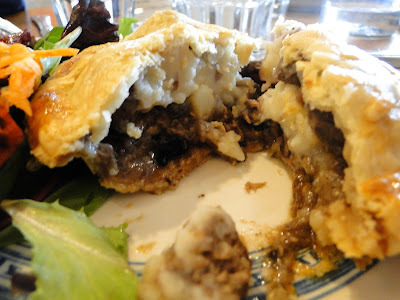 Besides our huge mugs of tea we had their Shepherd's Pie with local grass fed lamb and organic salad greens a herbs from right outside the restaurant. 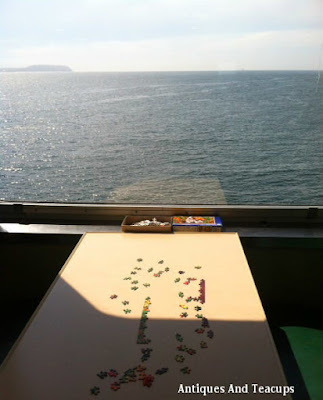 Which was wonderful! 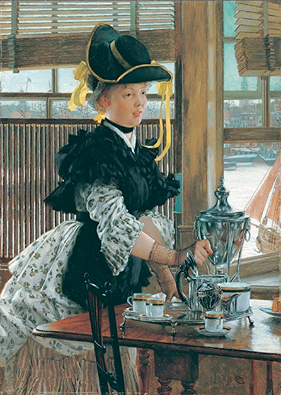 They had already sold out of their scones as although the restaurant had just opened, phone orders pour in and the days bake disappears quickly. While we were eating folks came in in a steady stream to pick up their orders. 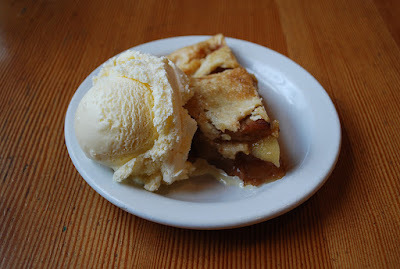 One of the things they are famous for is their pies...so we had apple pie ala mode...this is my 1/2 portion...as we had seen a piece go by and it was huge, and came with 2 scoops so we ordered an extra plate. Delicious! 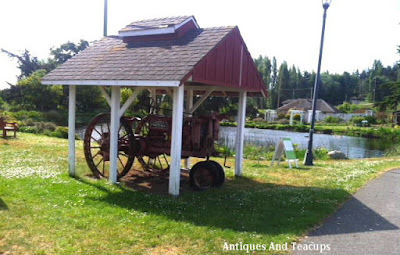 We wandered around the island, and especially enjoyed a beach stop at North Beach by Coupeville, and then took the ferry back hope. A lovely day! But...we brought home a souvenir from a local artist with a teacup theme...this is an original watercolor drawing by Gaylen Whiteman called Fascination...I LOVE it! 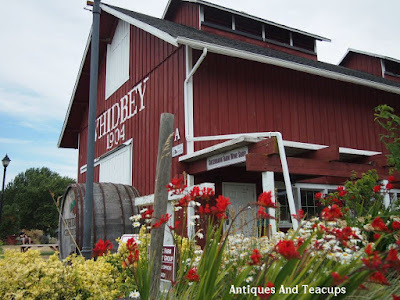 Glad you could join me for tea today, and a little local journey. I will be in and out for the next couple of weeks with company, trips to see kids and other things. 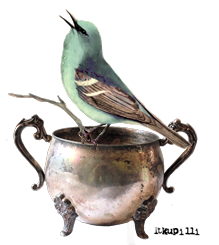 Below is the list of some of the blog parties I will be part of and there is the linky for your tea related posts...please remember that it is SSSLLLOOOOOOWWWW but if you are patient...it's there! 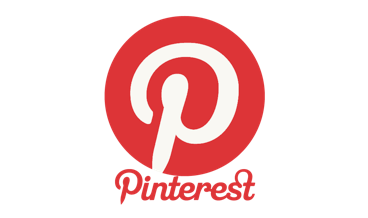 And I love to read your comments, and can find you to visit! 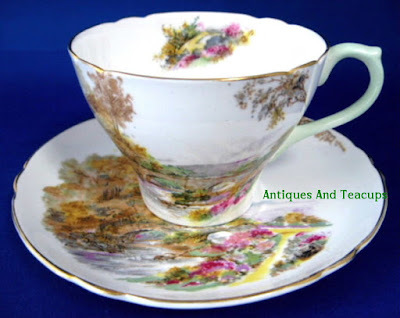 Hello and welcome to Tuesday Cuppa Tea! It has been lovely summer weather here with a touch of fall from time to time, which has triggered some allergy problems for me. But I do love walking with my honey, so sometimes ya gotta just do it! 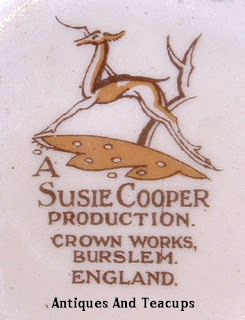 This week my teacup is a designed around a teacup by famed designer Susie Cooper, who was in the forefront of modern English design. the designs for granted now, but then she was a style setter. The marks used on her items from this period, 1932-1964, were pretty mix and match...she apparently used them at the Crown Works in Burslem, an area of Stoke-on-Trent. I like the one with the deer best! 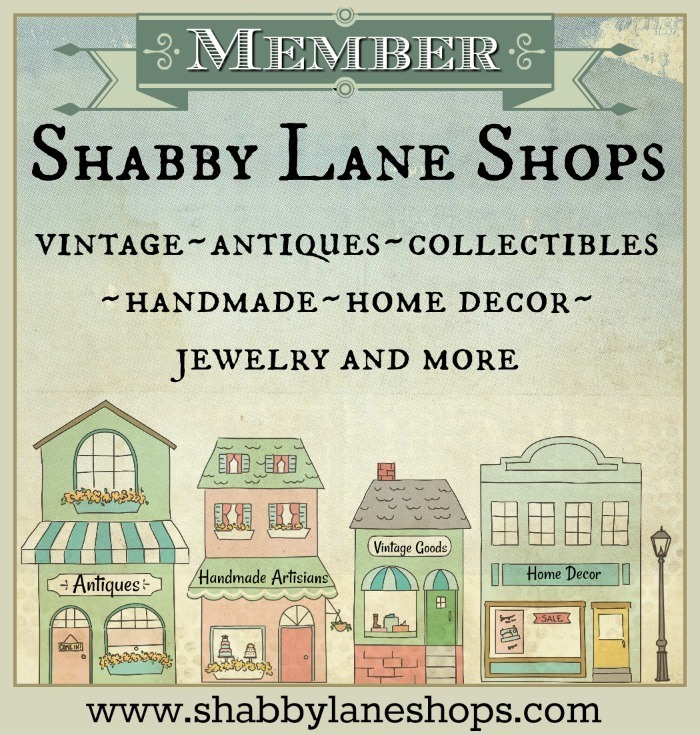 For more info, click on the photos. 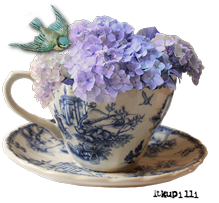 I paired this pretty teacup for tea in the sunroom today with some "clean" eating Paleo cookies we found....they are pretty good actually. We read some articles suggesting changing diets to improve the health of Parkinson's disease patients, and basically changing to not processed and refined foods as much as possible, so we are doing that. The cookies say Bet You Can't Eat Just One...which I am sure you recognize as an old advertising slogan...and they are wrong on these because they are so nutrition dense you really only need one, small though they are! The tablecloth is another family piece from the 1930-1940s from my dear aunt. 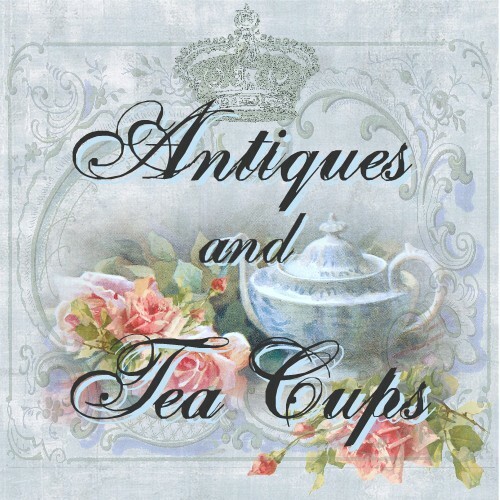 My tea is by Tazo, Berryblossom White and it is lovely! 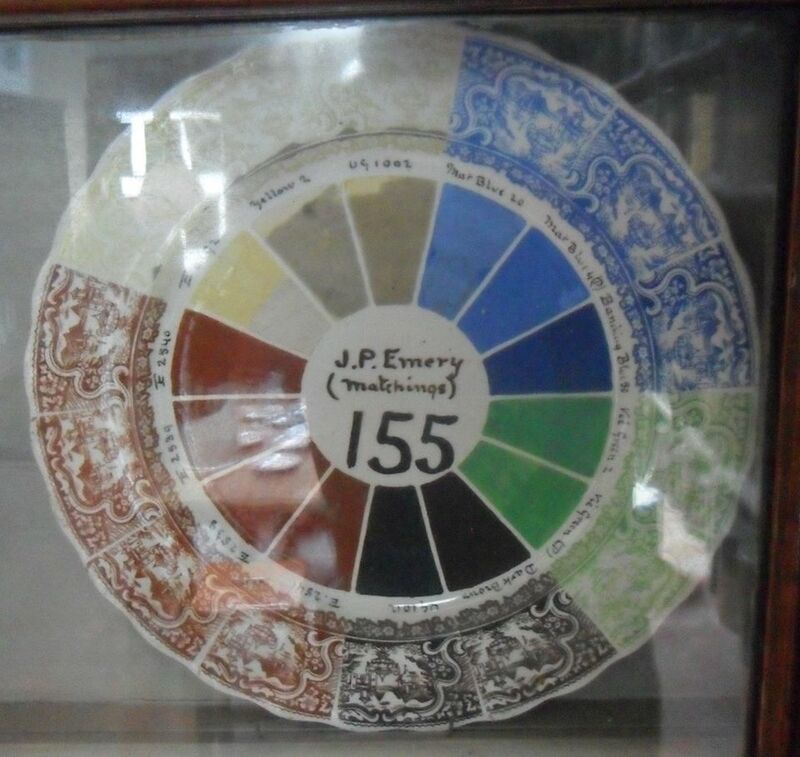 White tea is barely oxidized while black tea is fully oxidized. This has a pale straw color, a bit of astringency...not bitter...and a gorgeous blueberry smell and flavor. Lovely! Recently, on a private Facebook group I belong to, I met a woman who still works at the potteries, at Wedgwood, in the very small design and decoration studio in Barlaston...which has replaced the huge workshops that there before all the pottery shakeups, consolidations and closures as production was moved out of the UK. She is a decorator, and as an industry worker, has begun collecting the salesman or pottery paint sample plates used for the colors sold to the potteries for their china. C J Baines in Fenton...another district of Stoke, made this in 1959...it is fascinating to see the colours and think that's how designs were planned. 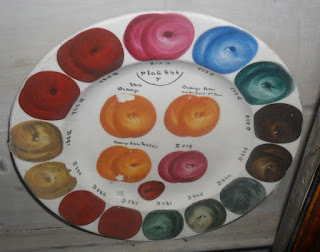 Wengers, Ltd. was another painter manufacturer. 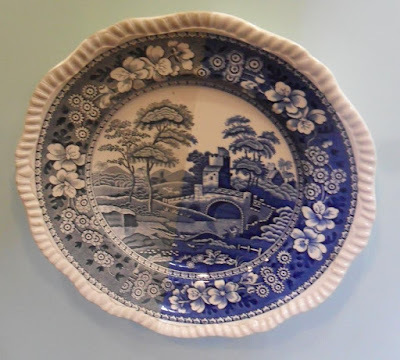 These examples are from the Gladstone Pottery Museum, and shows the various hues that were used on transferware and other designs...there were certainly different versions of blue transferware! 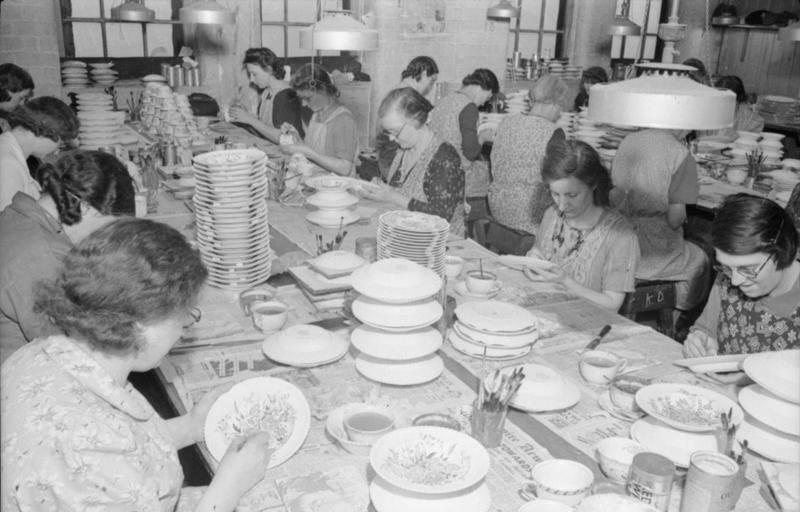 This a BBC archives photo of china painters at work at the Meakin pottery, which closed in the early 1970s. This is a Spode sample plate...no, your eyes aren't playing tricks on you, it shows the difference a certain glaze made on the color of the transfer of theis Italian Scenes plate before and after the final firing in the kiln. The right side is definitely more vivid in color. 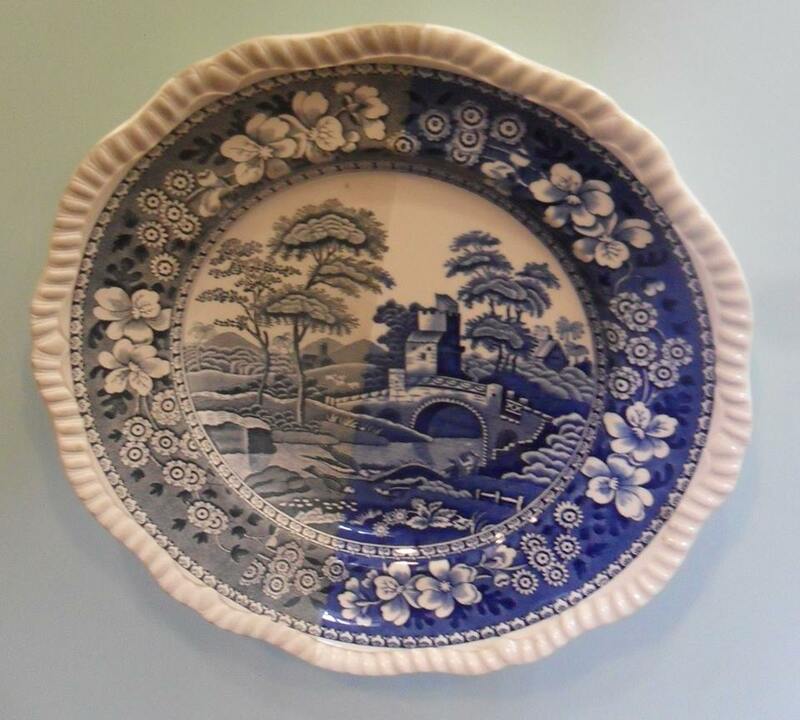 Photos of the sample plates by permission Rosie Cooke and Phil Rowley. 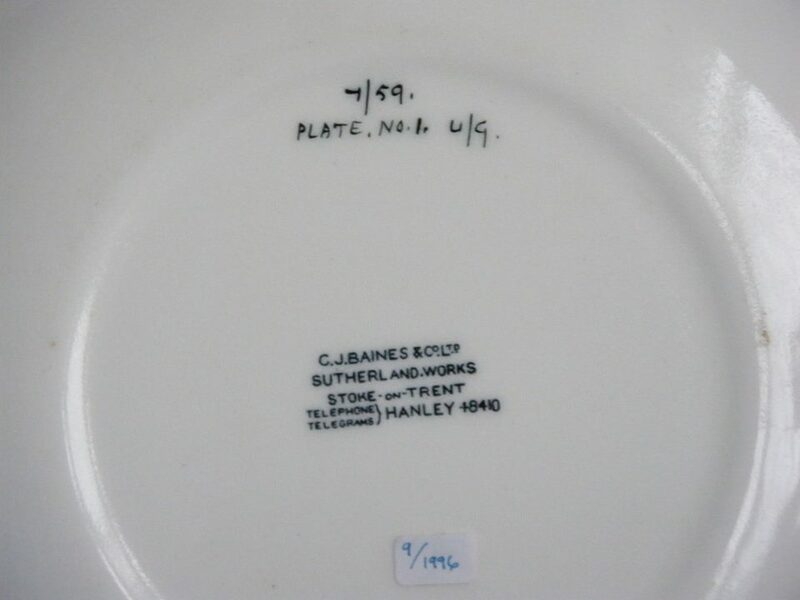 They have also a few marked ones from Mintons, Dudson, Spode, Royal Doulton etc. which were, I think to show as samples or to try/test various colours and prints. Now that's an interesting collection! 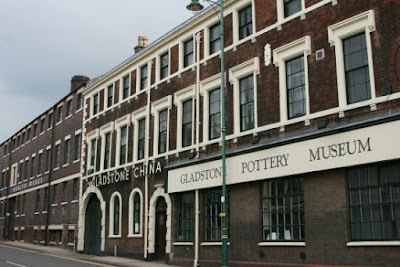 Sometime I'll share more about our visits to the Gladstone Pottery Museum...a great place to visit if you love china! 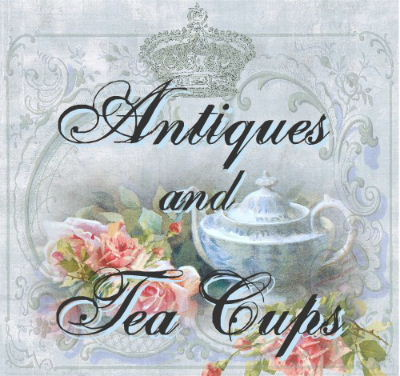 Thanks for joining me today for Tuesday Cuppa Tea, and I hope you have some last-of-summer opportunities for a relaxing cup of tea with a friend! Hi there and welcome to Tuesday Cuppa Tea. 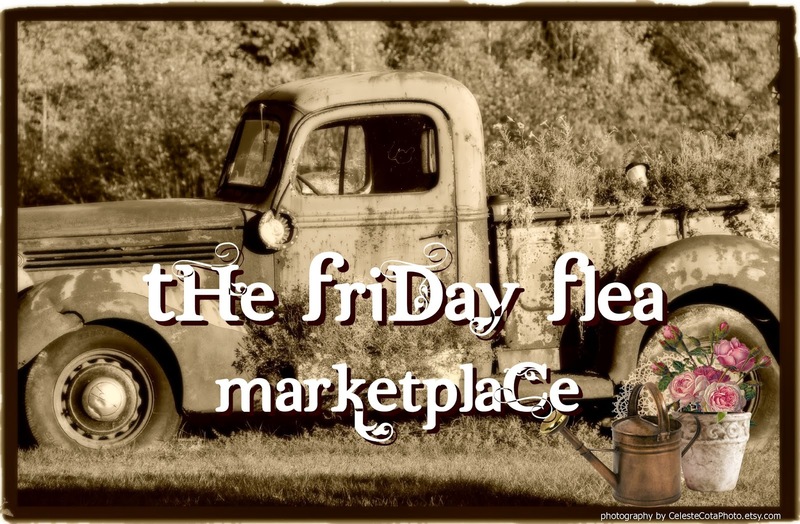 This is a short and choppy post...at least I hope it gets posted...because our internet provider is having problems and they have been working on it all week. They were out again yesterday, and are due today as well to replace wiring and my modem for the new wiring, and I have had molasses slow and unreliable internet all week...hopefully when this posts it'll be fixed! It certainly reminds me how tenuous our connections in the ether really are!!! 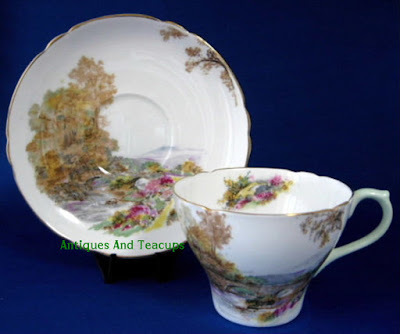 Because it's summer, although we have had a bit of rain the last few days, which we really need, it made me think of this Shelley China, England Heather teacup, so I decided to share that today. 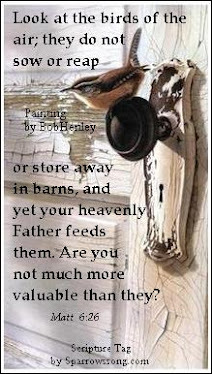 I have shared it before, but it's a favorite! 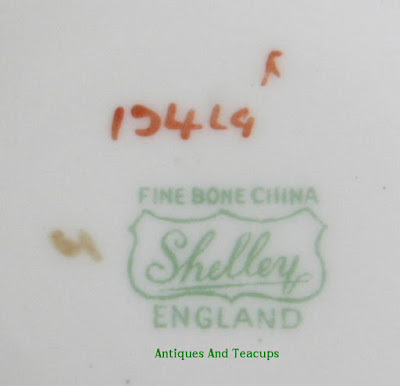 As you know I am sure, I LOVE Shelley China and have been collecting and selling them for 30 years now. I just love their quality! 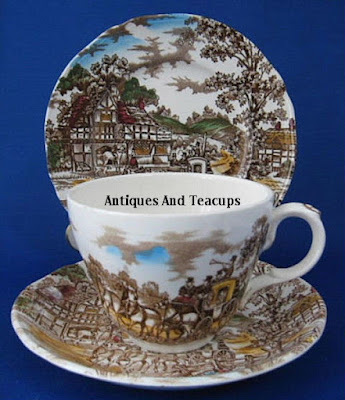 This is pattern number 13419, and the teacup is in the New Cambridge shape. 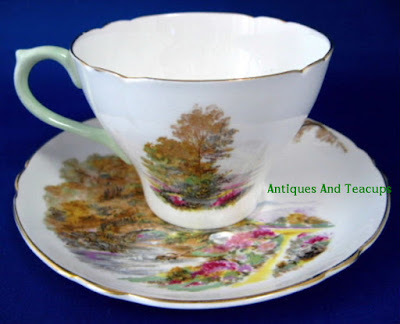 The teacup was made between 1940 and the late 1950s when they went to a mark with a picture of heather and the name. 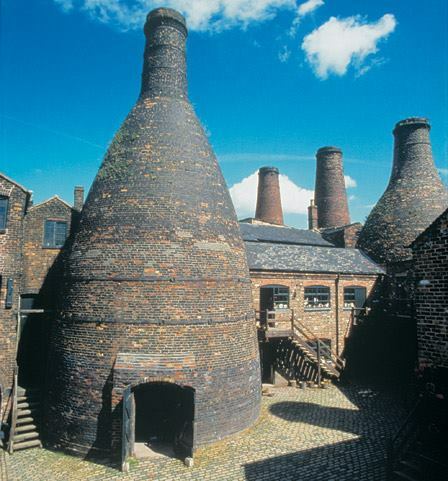 The pottery closed in 1966, and the pattern Heather was being made until that time, and on several different shapes. It's always fun to see the different versions. Anyway, I love the pattern. 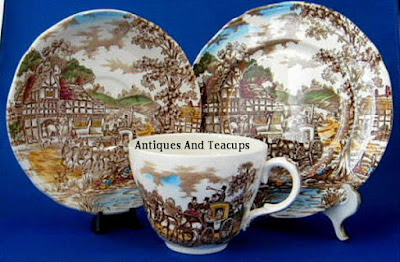 For more info at Antiques And Teacups, click on the photos. 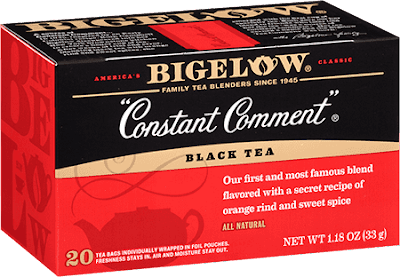 The year 2015 is the 70 th anniversary of Bigelow Tea's Constant Comment tea...created by Ruth Bigelow in her kitchen. Ruth Bigelow and the family could only afford a single-color label for her first tea. 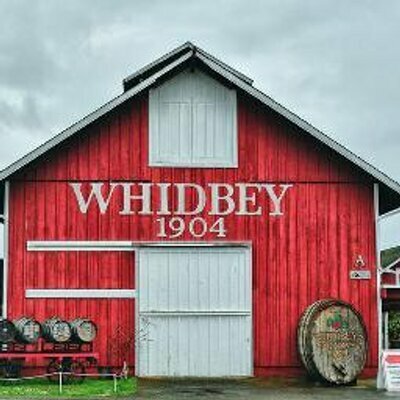 To help spruce up the package, her son David Jr. and her husband David Sr. would sit together each night, hand-painting the two ladies on the original label, which I have been unable to find a photo of. This is from the Bigelow archives, and bears the report that one night, David Sr. turned to David Jr. and said “Son, don't tell your mother, but I don't think this company is ever going anywhere.” The tin photo above is their special anniversary tin. 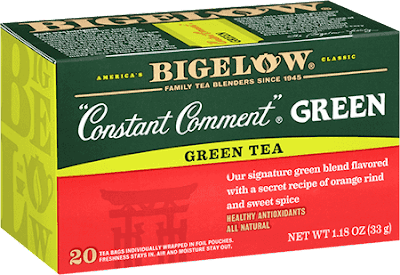 Today, not only is family-owned Bigelow Tea is the #1 U.S. Leader in specialty tea, but that first tea—“Constant Comment”®—is its flagship brand and has always been a favorite of mine, after discovering it as a teenager...and that's decades ago! 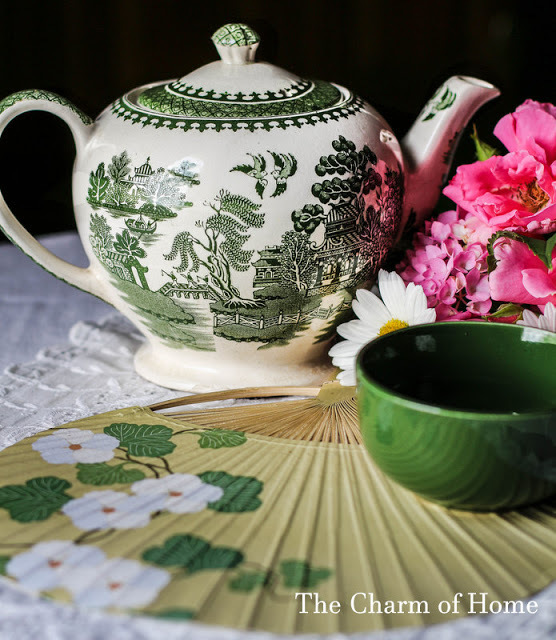 Happy anniversary to a favorite tea...and one that comes in a green tea variety too! We are drinking green tea every day, so this is always on hand for me. Have you tried it? It's very much like the black tea version. 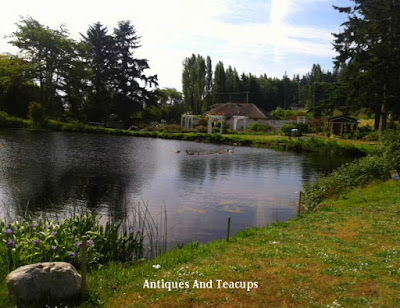 Changing gears, I just got new cushions for the sunroom wicker chairs...w have had these for 15 years...they started out originally in Ashland, Oregon on a covered patio/porch are...from Pier One...we have 2. The cushions were down filled...best we could get at that time, but I'm allergic to down, and they were getting shabby...not in a good way...and faded. So that's it for today...hope that the internet is fixed enough to allow this to upload and post.